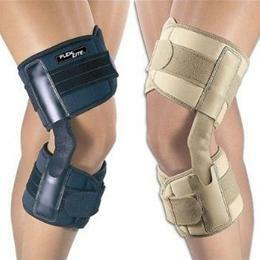 This product helps with issues of hypertension of the knee while still being able to have a normal flexibility. Brace weight is very light in weight. With a non slip silicone strap you will have no trouble with this brace. Available color: Black, Beige.